Mickey Mouse Plant Ochna serrulata is one of the most difficult woody weeds to remove or even poison. 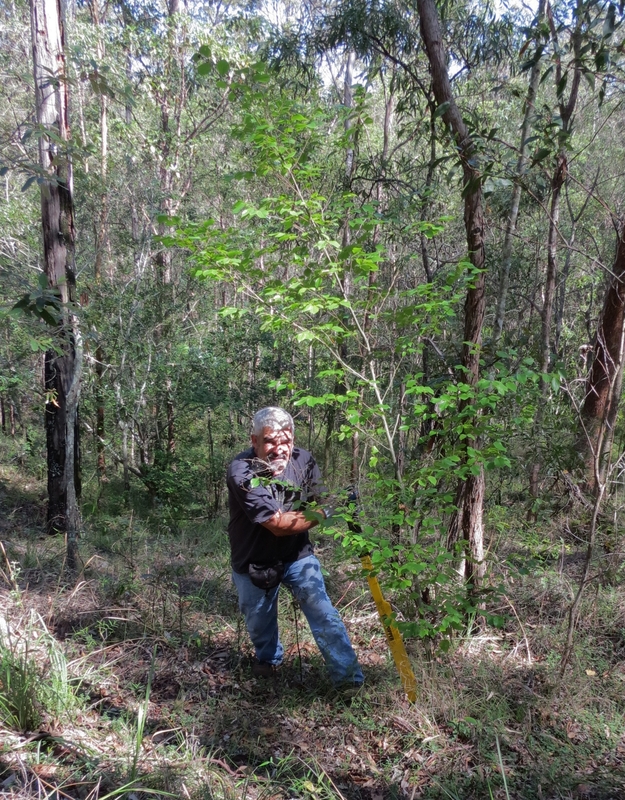 One of our key Bushcare tools, the Tree Popper is an ideal weapon to attack Ochna and no poison required. 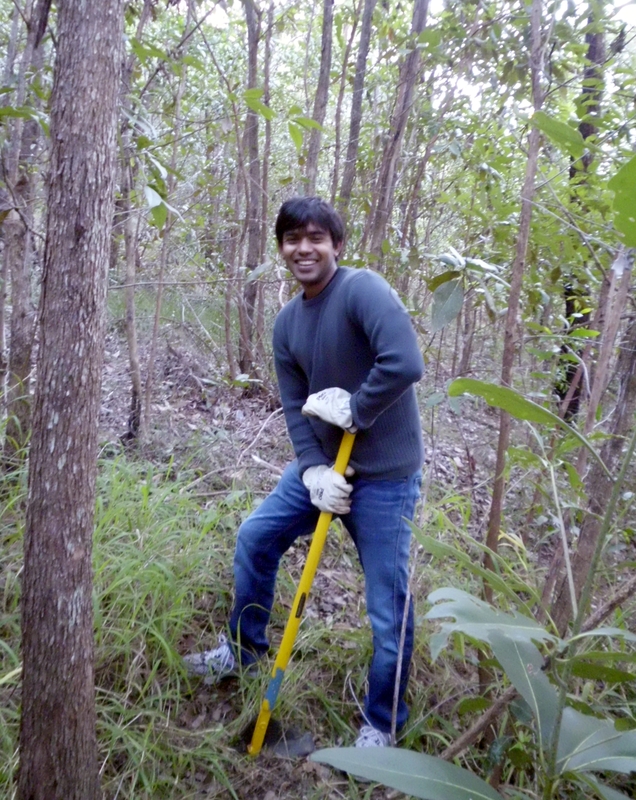 Ochna bushes commonly have extraordinarily deep tap roots out of proportion to the size of the bush. 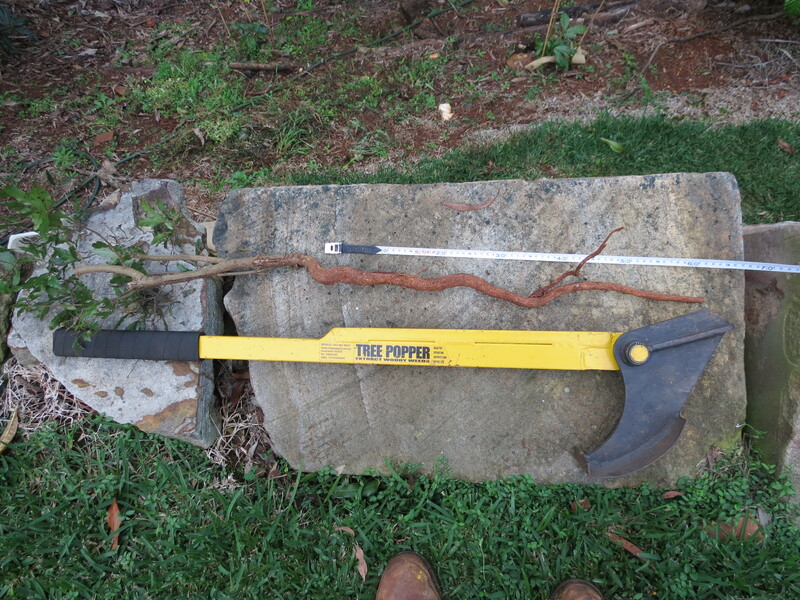 This Ochna removed at Fox Gully Bushcare is an excellent example – a thick 60cm tap root hidden under a tiny bush. 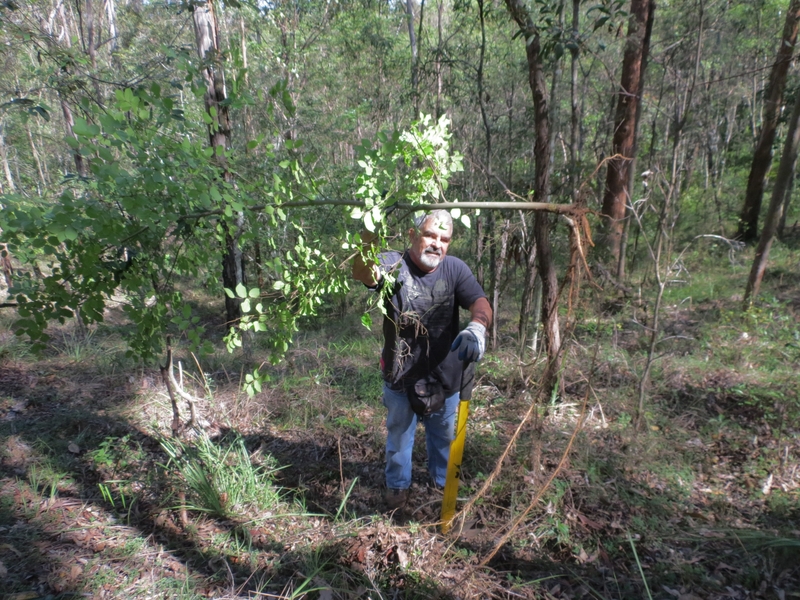 The Tree Popper is an excellent tool for Bushcare work however best results are obviously achieved when the ground is soft after rain. 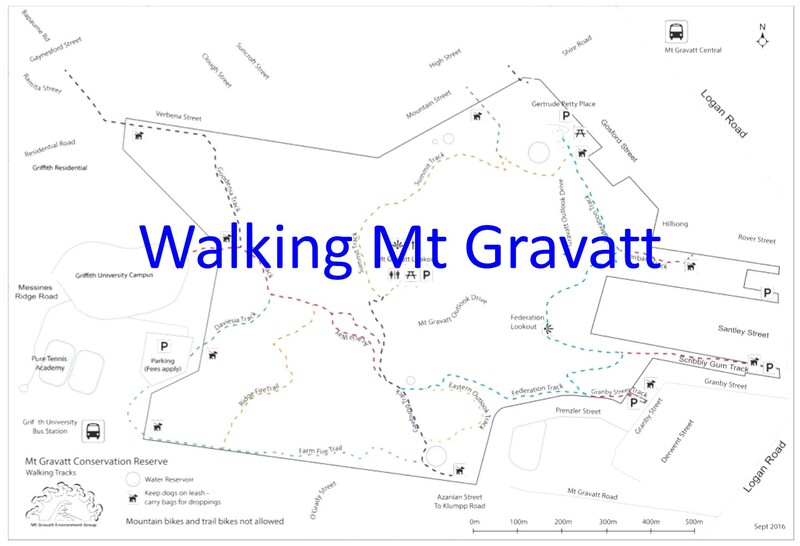 Last Saturday, Conservation Volunteers Australia (CVA) brought a corporate group of twelve young volunteers to assist Mt Gravatt Environment Group with weed removal at the entrance to the Summit Track. 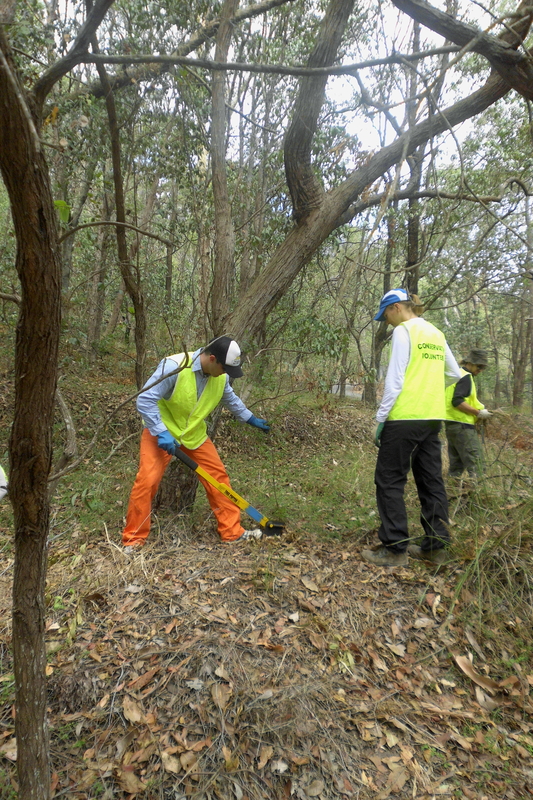 Their main targets for the day were Creeping Lantana Lantana montevidensis and Mickey Mouse Plant Ochna serrulata. Group leader, Fabian was interested in trying out our Tree Popper on the Mickey Mouse Plants, as he had not seen one of these used before. The tool is placed around the main stem of the ground at ground level, the pincers are closed firmly and the tool levered towards the user. With very little effort the weed emerges from the ground with its deep tap-root intact. 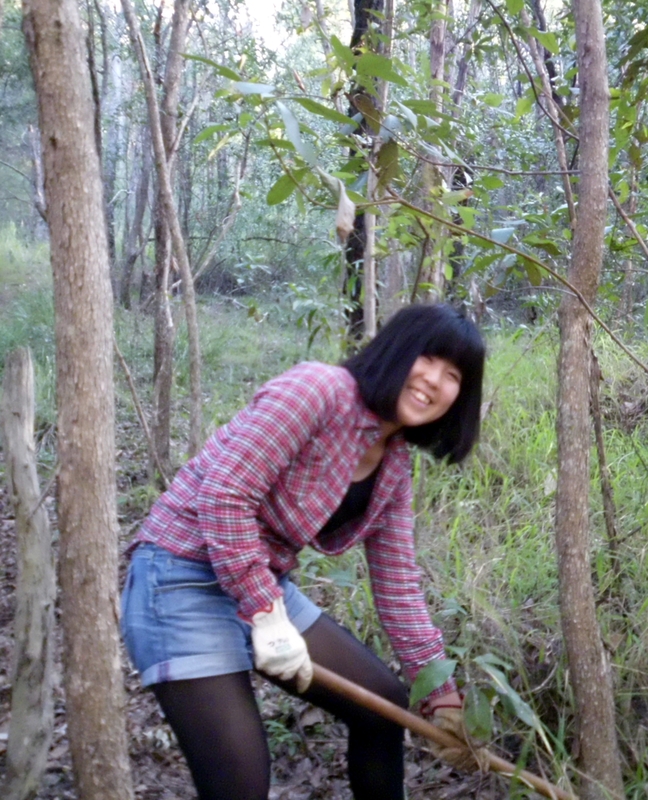 Whilst the blokes were grappling with Mickey Mouse Plants, the girls were rolling up Creeping Lantana like a carpet. After shaking off the dirt, the ‘carpet’ was laid out to dry. Once the materials has dried out, it will be returned to the earth as mulch. 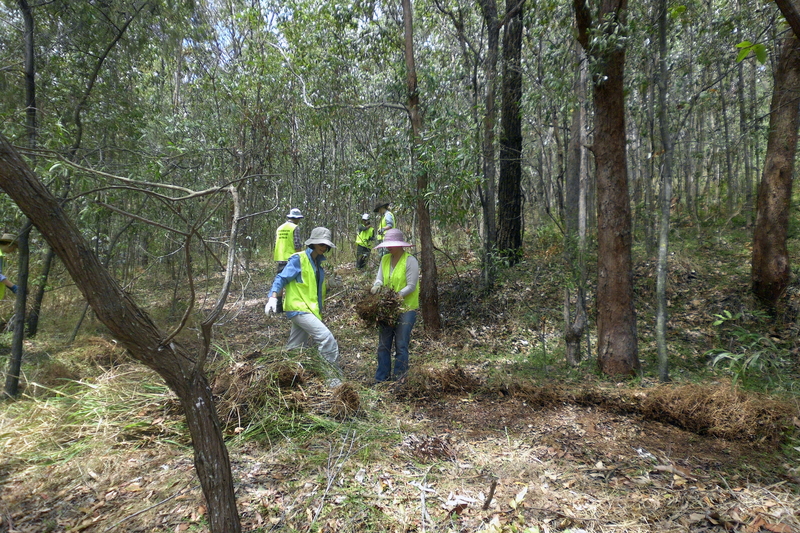 Thanks to Conservation Volunteers Australia and the volunteers for a great day’s work! 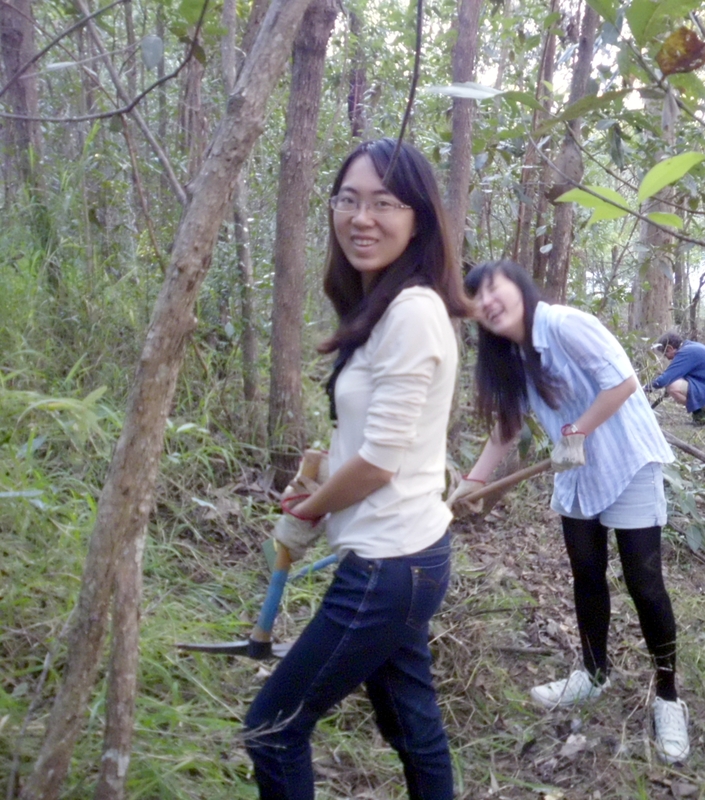 Conservation Volunteers organise groups of local volunteers, often corporate groups, as well as volunteers from around Australia, New Zealand and the rest of the world.